Is a smartphone warranty really worth it? When you're about to purchase a big-ticket item such as a plasma TV, or even a fragile small item like a PDA, you're usually offered the chance to extend the manufacturer's warranty — for a fee. But is this insurance necessary — or can it pay for itself? Do you have to sign up while you're signing on the dotted line? The Early Show's financial guru, Ray Martin, weighs the pros and cons of extended warranties. A few years ago extended warranties were only offered on costly appliances and big-ticket items. But today, these "protection plans" are offered on just about any appliance or consumer electronics products you can buy. For years, consumer advocates such as Consumer Reports have cautioned against buying extended warranties. But that advice may be in need of updating. These days, leaving the house without seeing someone checking their email, playing a quick game of Words With Friends, or looking up reviews for restaurants on their phone is a rarity. Thanks to the many innovations, functionality, and apps available in mobile technology that is constantly increasing, smartphone usage is everywhere you look. Your smartphone keeps you in immediate contact with friends, colleagues and family, navigates you to anywhere you want to go and even lets you watch your favorite tv shows on the go. Unfortunately, though, there's a lot of unexpected things that can happen to your phone whether you're under a contract or not. It could accidentally fall into the toilet, slip out of your hand and smash onto the pavement, or simply get forgotten somewhere, never to be seen again. 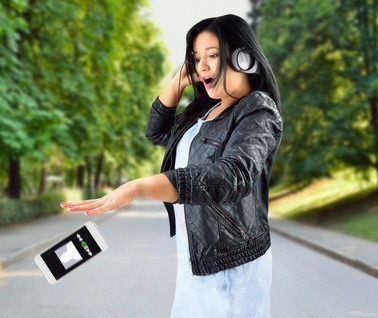 Ordinarily, when any of these or other incidents happens, you're stuck with the full responsibility of replacing your phone – which could cost upward of hundreds of dollars. Ouch! So how do you mitigate the replacement cost if your phone is lost or broken? The obvious answer might seem to be to sign up for cell phone insurance when you purchase your new phone. For around $7 a month, depending on your service carrier, your phone gets replaced if anything happens to it, no matter whether it's your fault or not. Seems like a great deal, right? Well, not exactly. When you get your phone replaced, you're required to pay a deductible which can range anywhere between $50 and $200, and you're not guaranteed to get a newer or better phone in return. In fact, it's not even guaranteed you'll get the same phone or even an unused one. So at this point, you've paid for two years of insurance ($168) plus your deductible (probably $100), all for a device that might not be as good as the one you started out with. Now to some people, this may still sound like a good deal. If you're shelling out $268 instead of $600, you're up to $332 – if that's how you want to think about it. There are, however, some of better and more economical alternatives to consider. When disaster does strike, and you've got a broken phone, your options are either to rely on your manufacturer or your insurance company to repair your broken phone. With most people buying expensive smartphones on lengthy contracts, having a broken device with no protection can often mean relying on an old phone while still paying for your new device. The accidental damage policies of each manufacturer do vary, and often, some companies will provide one-off assistance that's out of policy, but this depends on each individual case. Some manufacturers have revealed accidental damage protection policies to protect your phone. Take a look at a comparison of manufacturer warranty prices and various damage repair options here. As always, if you find yourself with a damaged smartphone, Computer Corner can repair it for a small fee. Contact us for more information.